Introduce the Theory of Change to the group and its role in participatory planning and an evaluation process. Have FAB members reflect about the ways they and others in Brownsville experience systemic racism, particularly in educational and social service contexts. Build off reflections of FAB members to identify what needs to change for young children in Brownsville to “lift off”, or be prepared for educational, career, and life success. Handouts including the text of “Lift Off” and the mindfulness activity, notes on Discover Together Brownsville projects, and the Theory of Change draft are available here. Share with us one thing you’ve stopped or started doing to support you being a better you. Recap of PAT meeting--discussion about systemic racism that Brownsville experiences and the PAT’s desire to disrupt systemic racism and inequity through its work with UB. This is work that can only be done by the FAB, not the PAT or UB backbone staff. It should be responsible to the community. Jamar mentioned that Brooklyn Public library loans out hotspots. What is” lift off” for children ages 0-3 living in Brownsville? How do we support children ages 0-3 in their own respective lift off? The FAB then documented its conversation in the chart that appears on the next page. 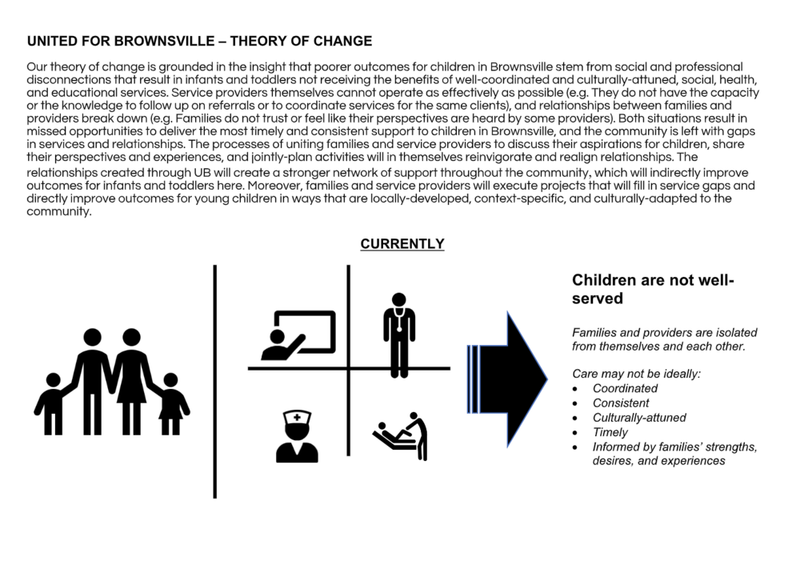 The chart and the conversation centered on changes that FAB members would like to see in Brownsville and in their children’s lives. 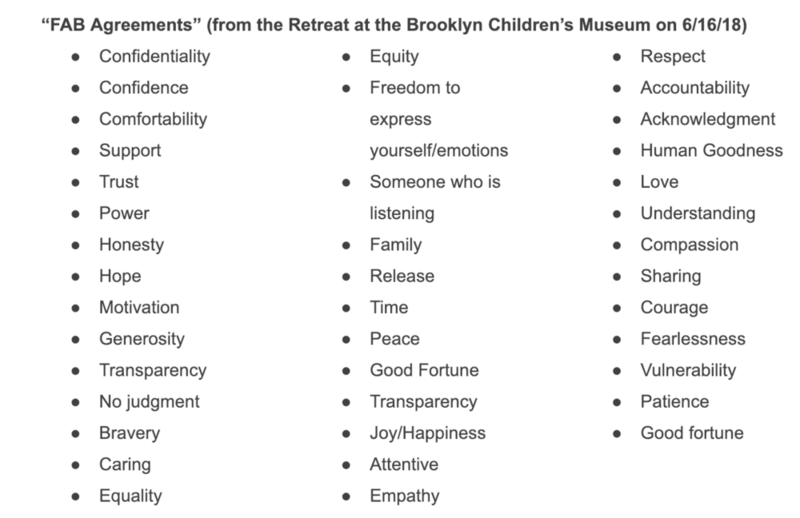 These desires for change will inform the way we edit the Theory of Change at a subsequent meeting. They will also be the basis for eliciting measurable and specific outcomes that families would like to see in Brownsville, which will inform our evaluation process. In other words, UB cannot be successful if we do not achieve the outcomes that families set for us — if we do not effect the changes they would like to see. We were not able to spend time on specific next steps at this meeting, but we did achieve important work that will help move all of UB’s efforts along. FAB members were asked to email, text, phone, or come in person by Monday 10/15 with updates about their own work on their Discover Together projects and with action items they would like to volunteer to complete by the November meeting.